Japan, like a number of other U.S. allies and the U.S. military itself, has just signed up to procure the F-35 Lightning II fighter aircraft, built primarily by Lockheed Martin. Experts are already questioning whether the F-35 was the right choice for Japan, and this debate is sure to inform the decisions of other countries in the Asia-Pacific that are seriously considering buying F-35s of their own. Australia has already signed onto the F-35 program, but is having second thoughts. Singapore is due to announce its decision on whether to procure the aircraft in 2012, while South Korea is set to deliver its verdict by October of that year. India, too, is being targeted by Washington as a future customer for the aircraft. How much does an F-35 really cost? The answer is that it depends who you ask. A Lockheed Martin spokesman said the day before the Japanese procurement was announced that: “The average recurring flyaway cost of an F-35A, in 2010 economics, is approximately $65 million.” But hours later, the Japanese Ministry of Defense confirmed that it was paying JPY8.9 billion ($114 million), or JPY9.9 billion ($127 million) including spares, for each F-35. It’s unclear why the two figures are so far apart, but it’s easy to understand why potential partners like Australia have lost trust in the numbers. Tokyo certainly appears to have built some flexibility into its F-35 program by planning a very gradual introduction for its fleet. But already even this conservative schedule appears uncertain. Earlier this month, the head of the F-35 program, Vice Admiral David Venlet, said that F-35 production needed to be slowed down, not ramped up, in order to fix “hot spots” – i.e. flaws – with the design of the airframe. With the U.S., the U.K., the Netherlands, Italy, Australia (probably) and Israel already in the queue for F-35 deliveries, it’s hard to place too much faith in the promised delivery times in light of Venlet’s call for delay. Japan had better hope that its old F-4s have a few extra years left in them. Will our own defense industry benefit? For countries that didn’t sign up to be original F-35 partners, technology sharing isn’t guaranteed. The Japanese MoD had this to say: “With regard to 38 aircraft which will be acquired in or later than JFY 2017, the fuselage manufactured through the participation of Japanese industry is planned to be acquired.” This sounds like assembly, not real technical involvement. The situation leaves Japan with a huge dilemma. It either faces the terminal decline of its aerospace sector, or it must invest heavily in developing its own stealth fighter – a project deemed so costly that analysts have questionedwhether it could ever really succeed. Furthermore, the expensive F-35 procurement would cease to make much sense if Japan goes on to build an advanced fighter of its own. 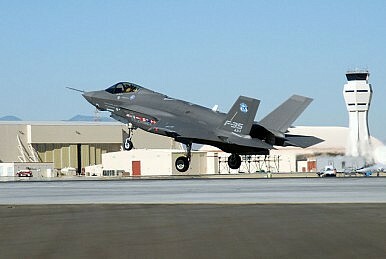 Despite all these concerns, would the F-35 give us a real capability edge? Potential buyers need to think carefully what they want to buy the aircraft for. As Christopher Hughes has already discussed here, the F-35 is a great offensive weapon for penetrating air defenses and striking targets inside enemy territory. Matching that specialty to our list of prospective Asian buyers, it sounds like a smart option for South Korea, and perhaps for India; but the case for Australia and Singapore, for which defensive rather than offensive capabilities are the priority, is less compelling. Japan identified the F-22 Raptor as the ideal aircraft for its fighter requirement. But when the U.S. stonewalled over Raptor exports, the Japanese F-X program struggled to adjust. In the end it chose the F-35 for two simple reasons: it looked more like the F-22 than the other contenders; and it was unable to countenance, in any serious way, buying a non-U.S. option. The other buyers in the Asia-Pacific aren’t bound by these constraints. The F-35 may well prove to be the right solution for them; but it’s becoming a much closer call than, just a few years ago, many governments would have imagined. F-35 Brains in an F-22 Body: Thinking Through Japan's Next-Generation Fighter OptionsU.S. Air Power Plans in FluxJapan's F-35 Choice QuestionedWhy the F-35 Isn’t Good Enough for JapanWhat Does the Latest F-35 Data Breach Teach Us About Defense Industrial Espionage?